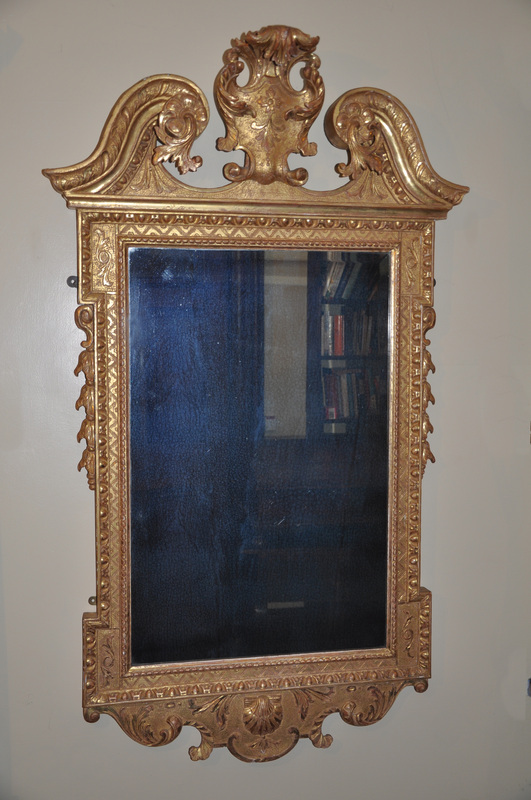 A Fine and impressive George 11 Gilt Wood Mirror in the manner of William Kent. 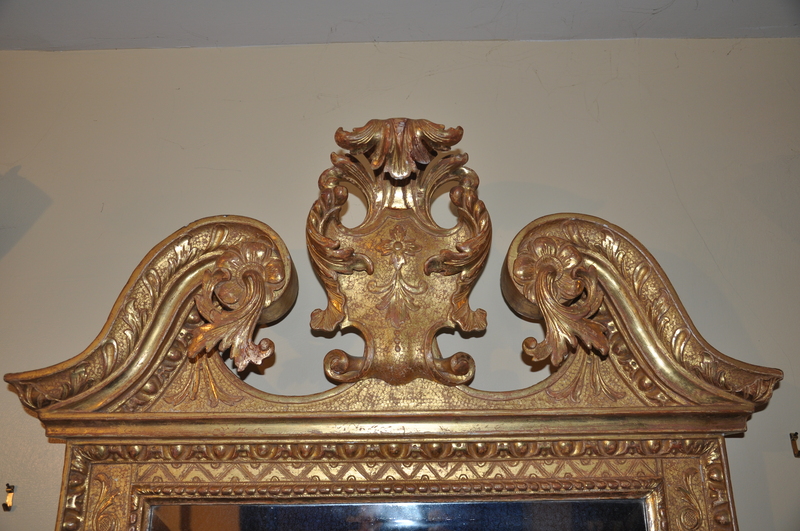 Ornately decorated with egg and dart molding, foliage and Venus shell with scrolled swan neck pediment centered with a superbly carved cartouche and plume. 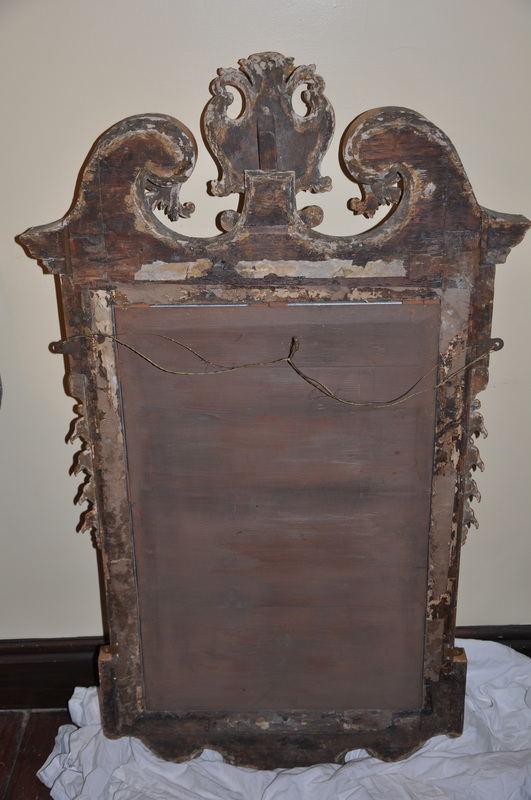 The beveled plate is possibly re-silvered or replaced. 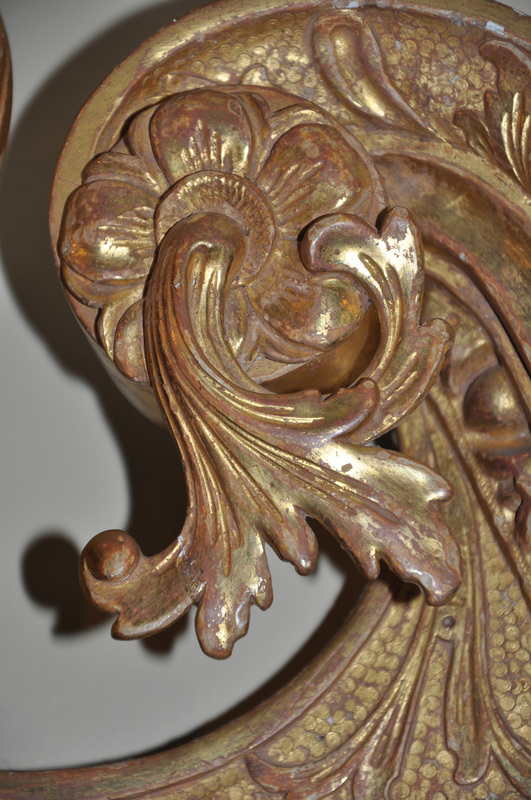 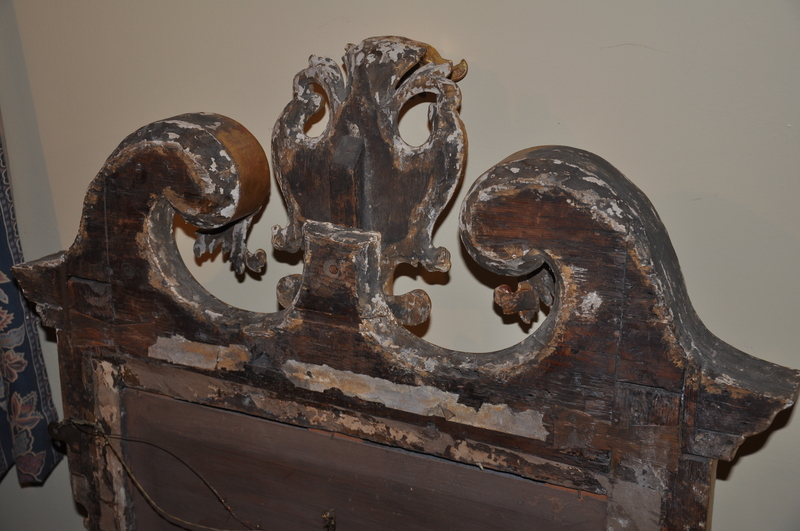 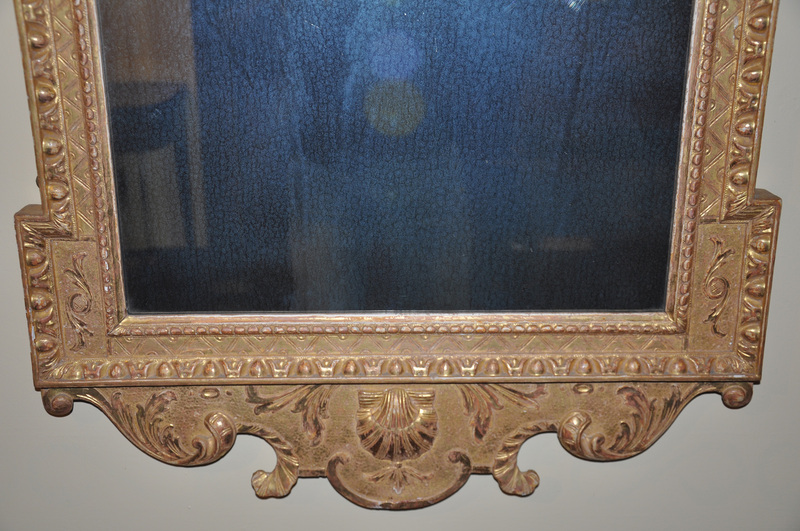 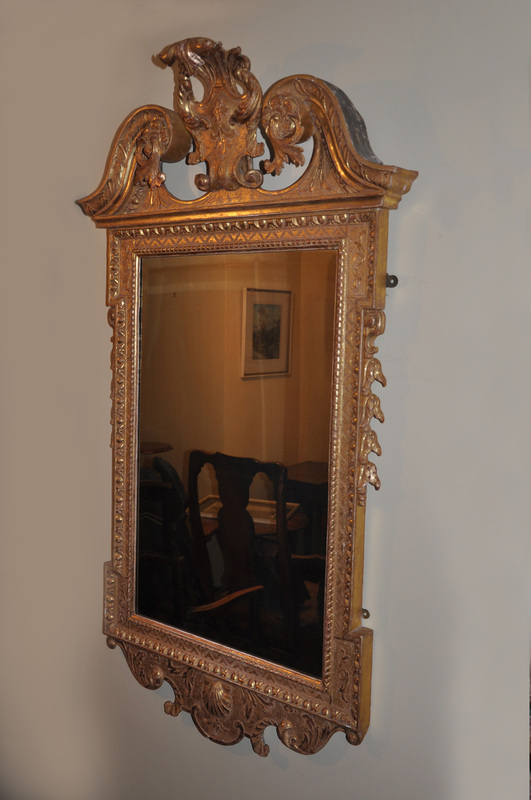 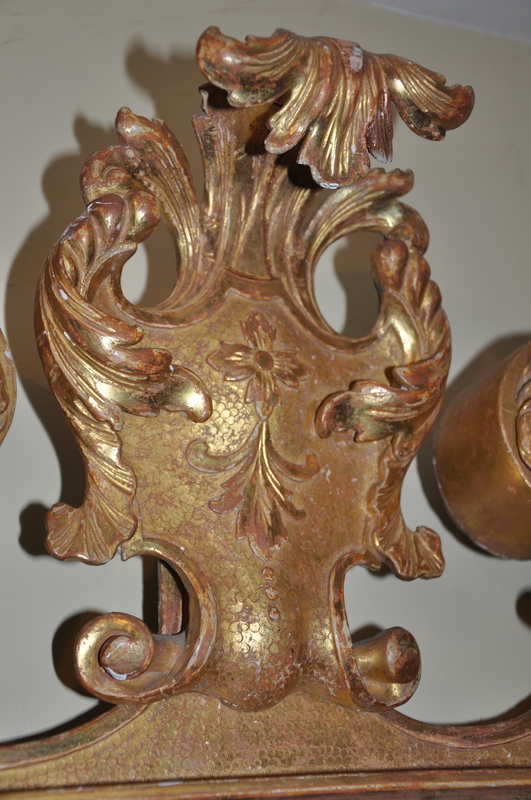 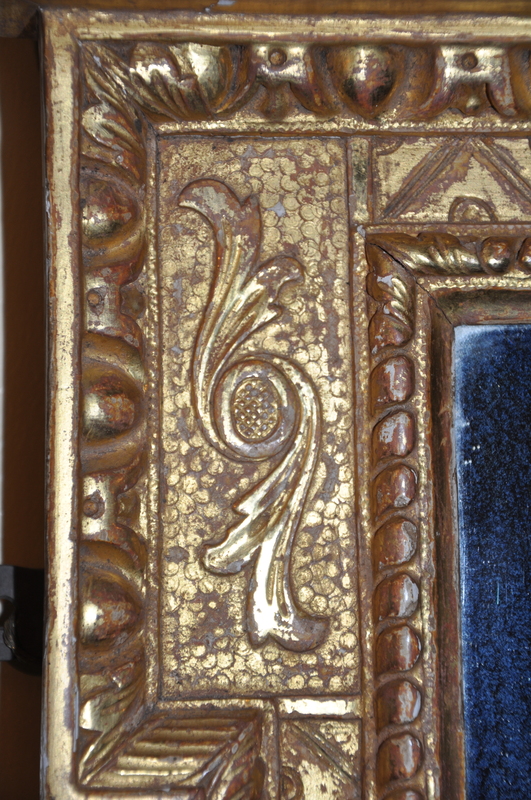 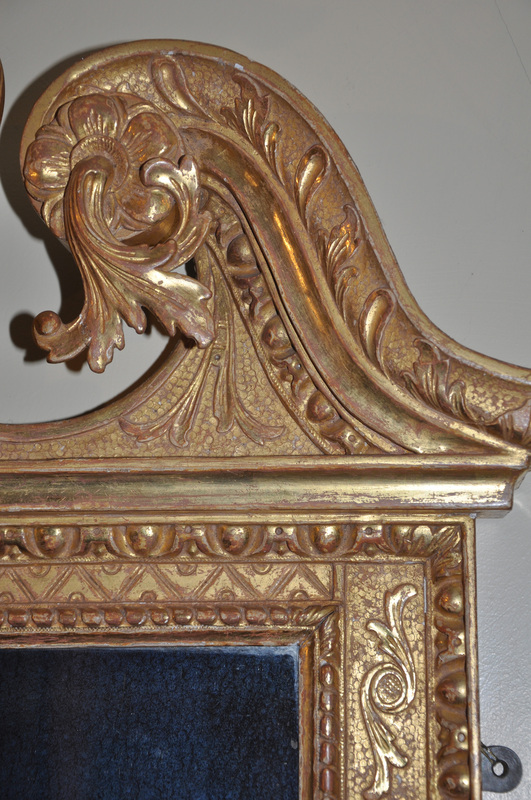 The Mirror is in very good condition retaining most of its wonderful bright original gilding.